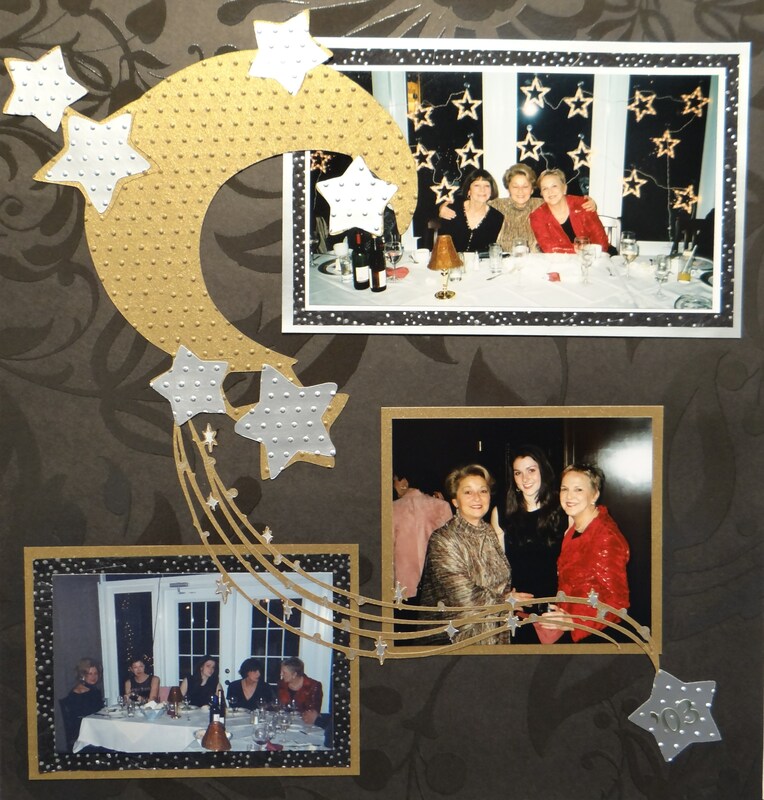 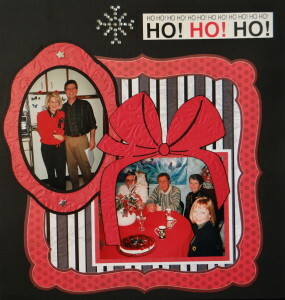 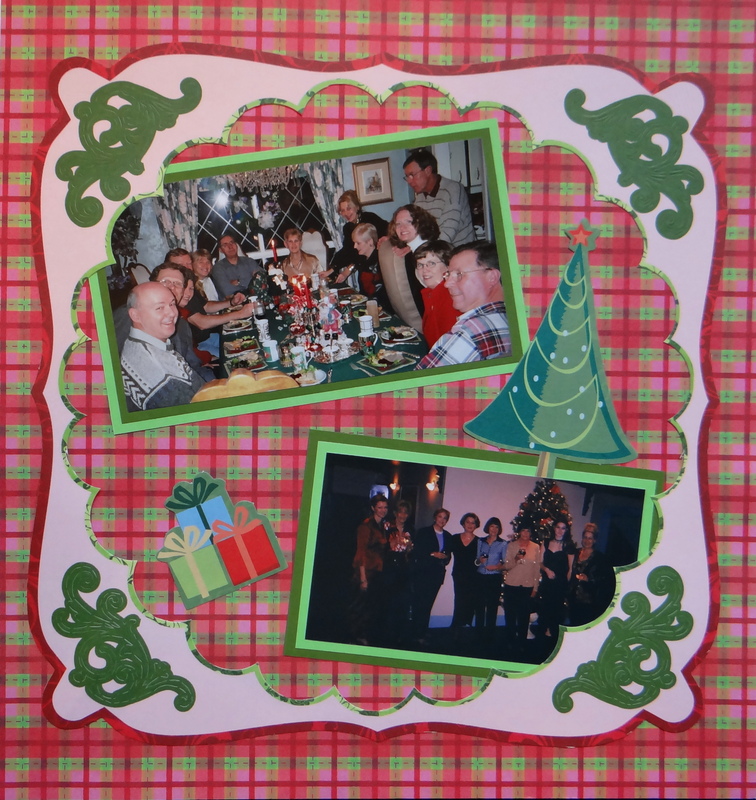 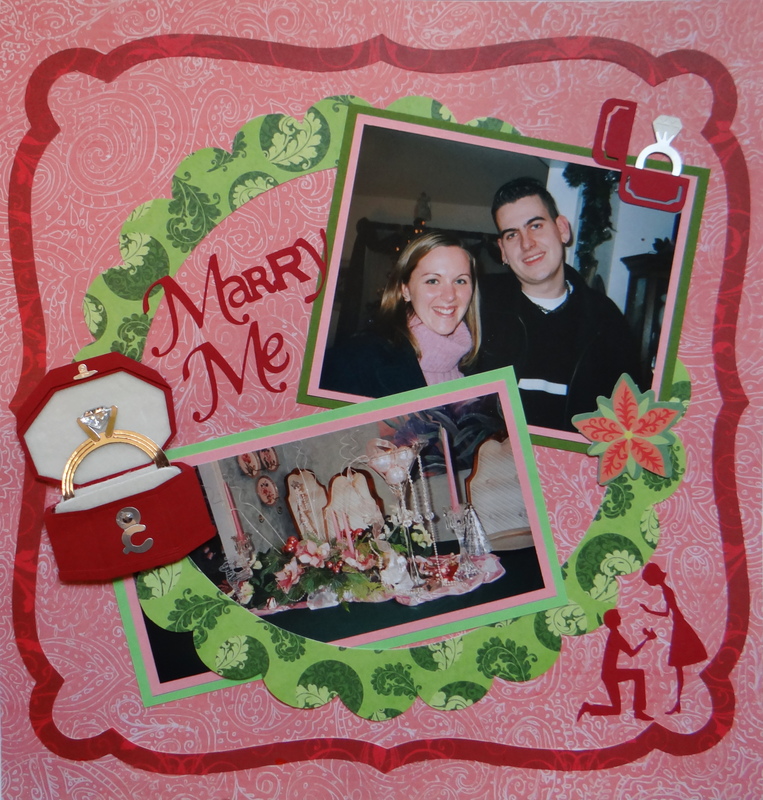 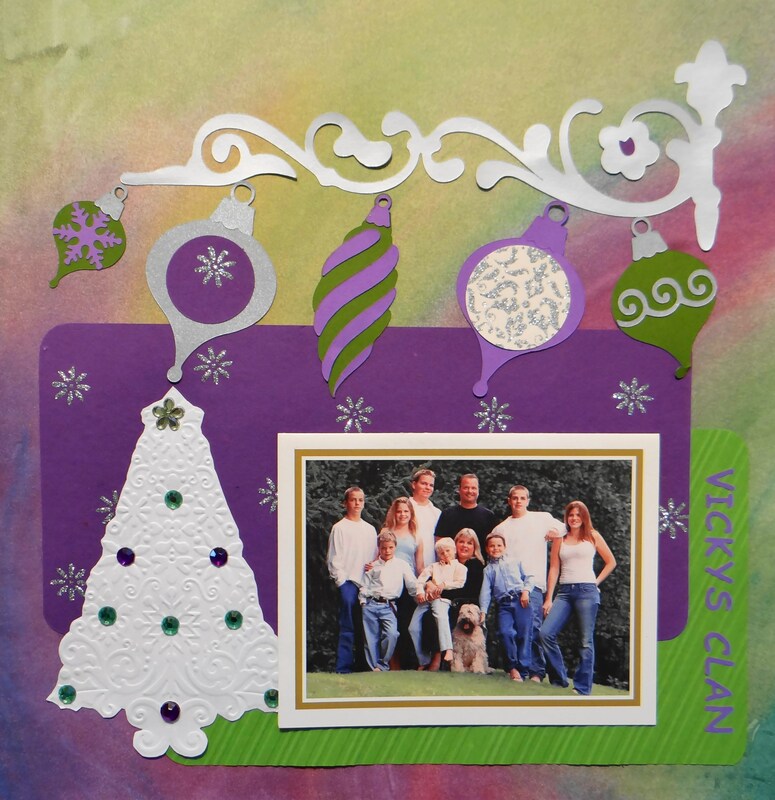 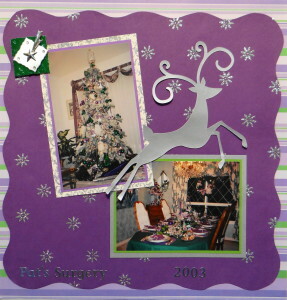 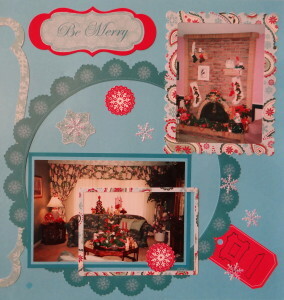 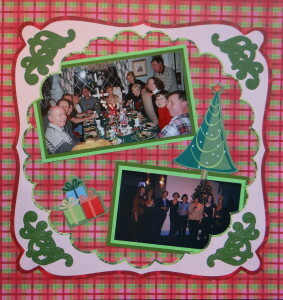 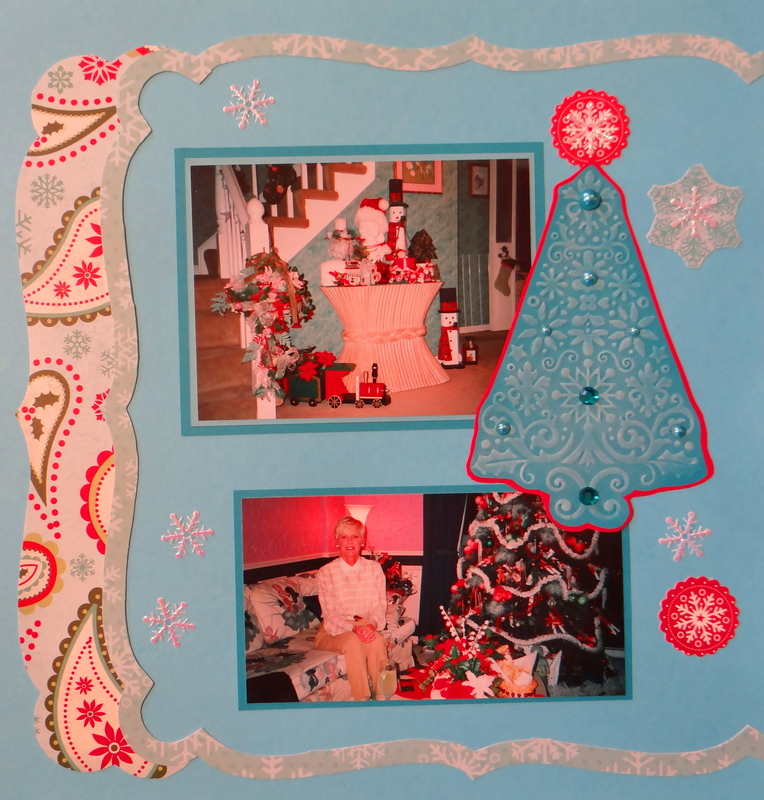 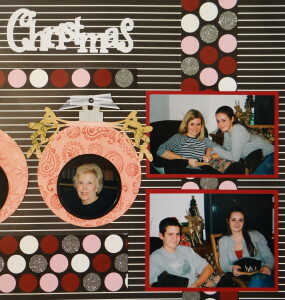 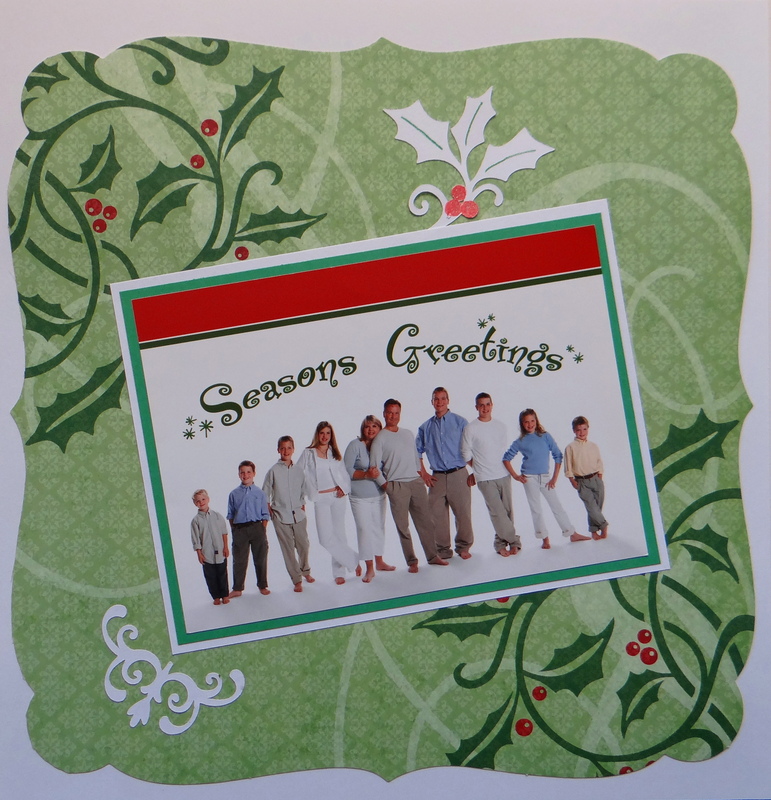 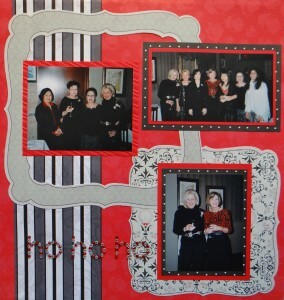 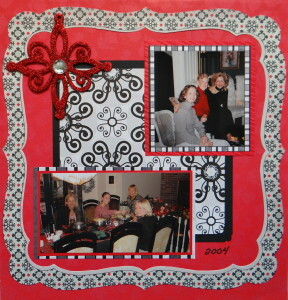 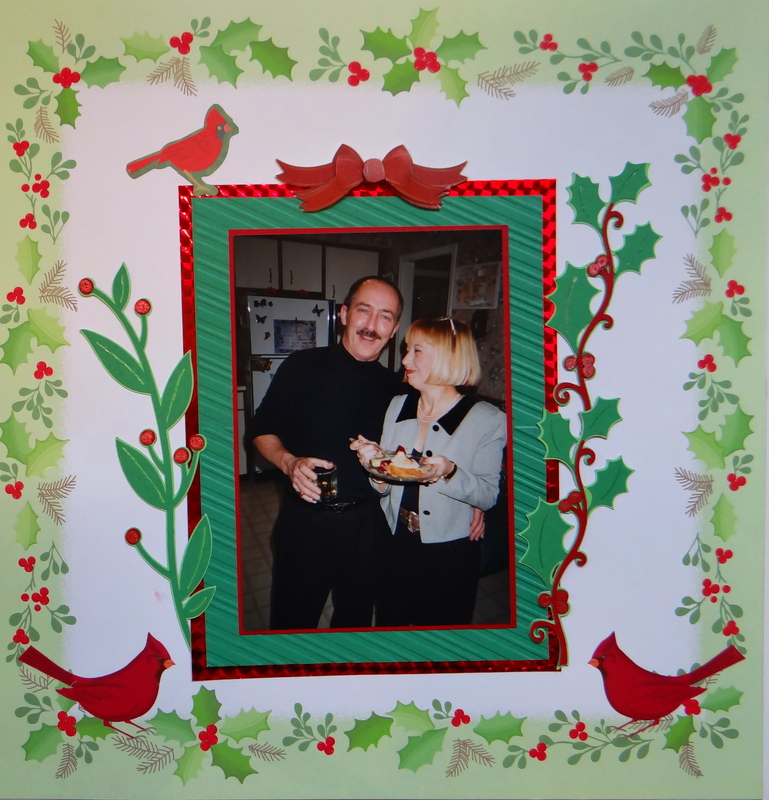 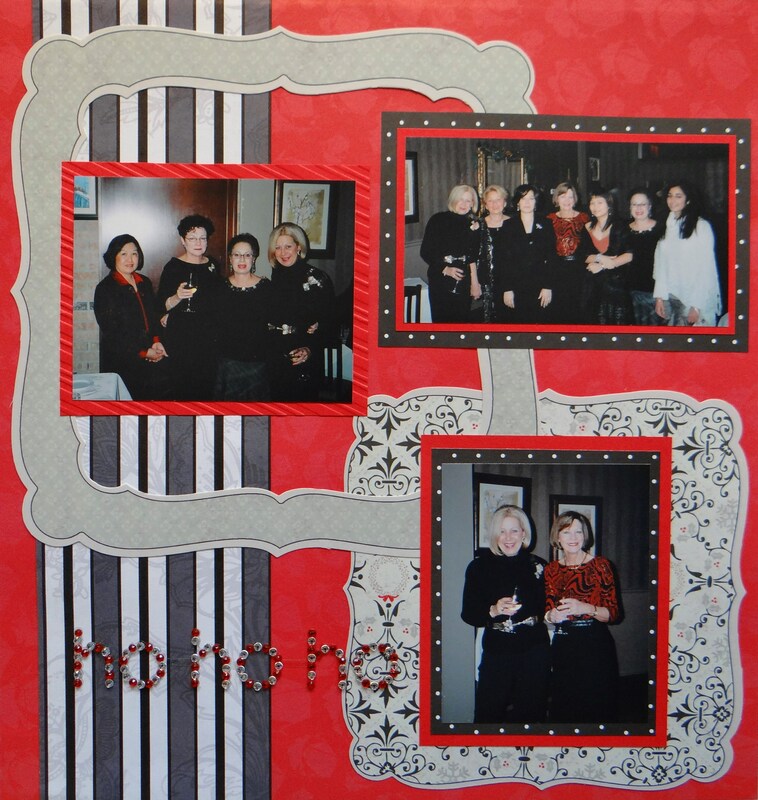 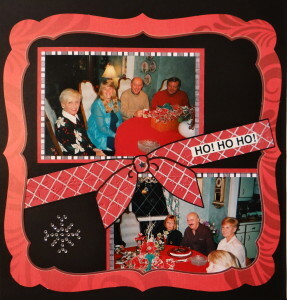 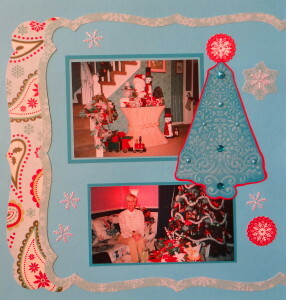 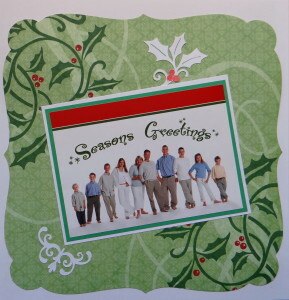 You will find Christmas scrapbook ideas for your pages in this album. 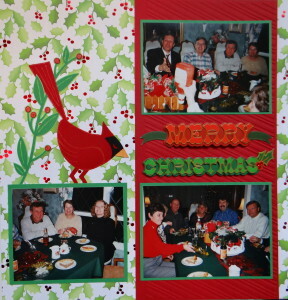 Inspiration: I love cardinals and I wanted to use this new Christmas paper. Inspiration: The red sweater and tablecloth. 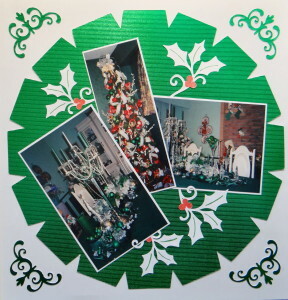 Inspiration: All of the Christmas decorations displayed in the house. 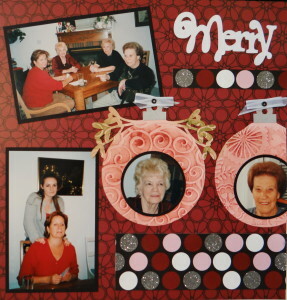 Inspiration: With so many photos to put on 1 page, I decided to put some right into the ornaments. 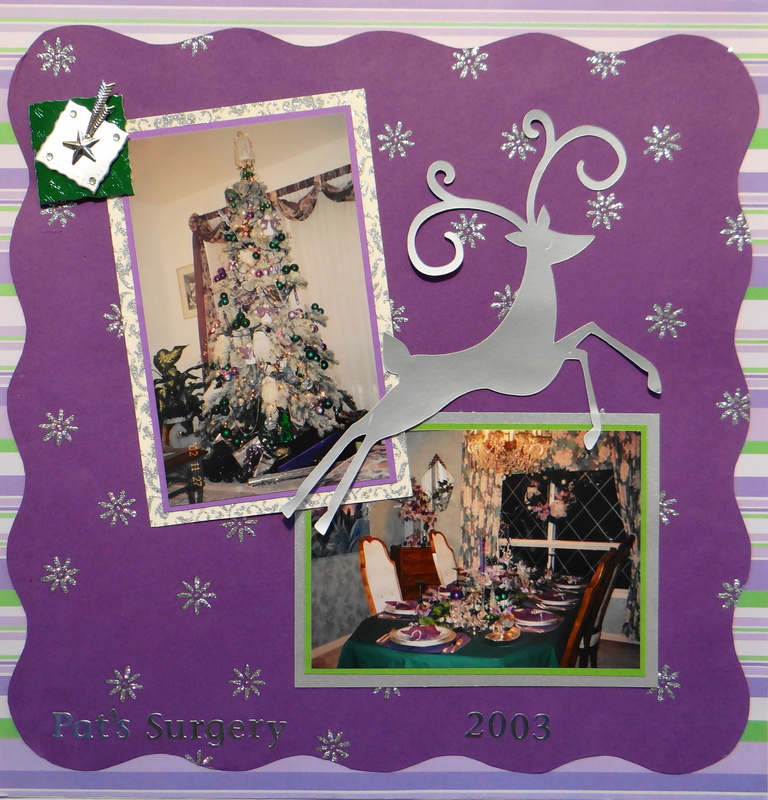 Inspiration: I try a different theme on my Christmas dinner table every year, so I photograph it. 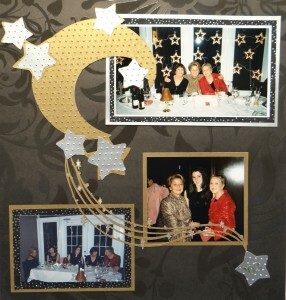 Inspiration: The stars decorations in the restaurant window.